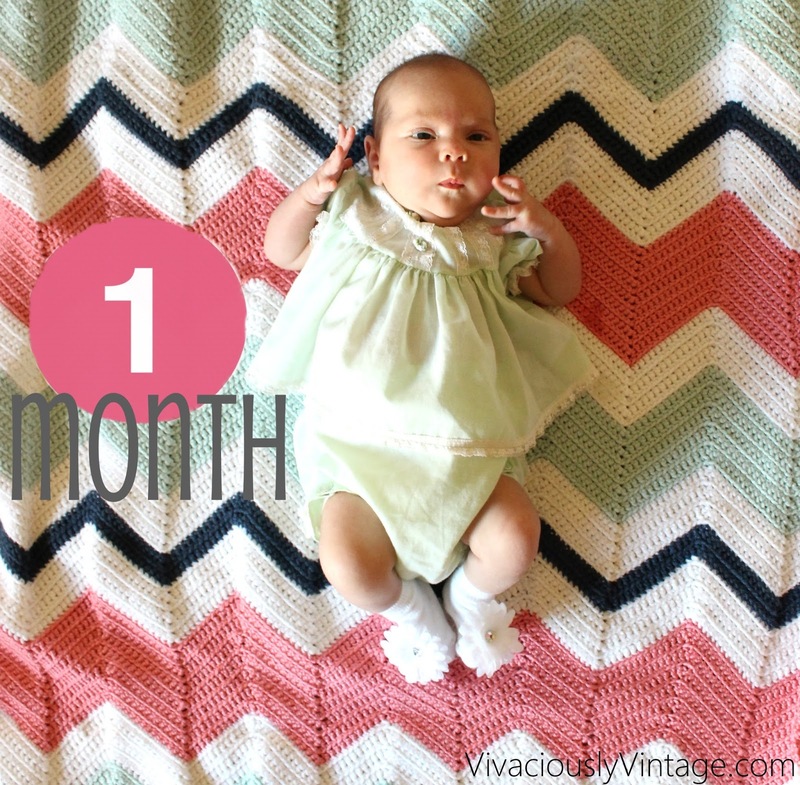 Ansley Designs: EASY Beginner Chevron Crochet Baby Blanket! Only ONE Stitch to Learn! Lol, you get the idea! This is literally the first thing I ever crocheted, and I think it looks fantastic! I know the title says one stitch, but you seriously only need to know two stitches. Chain stitch for the very starting row...then after that, literally the only stitch in the pattern is a single crochet! So simple, but looks so complex! You can do it!!! 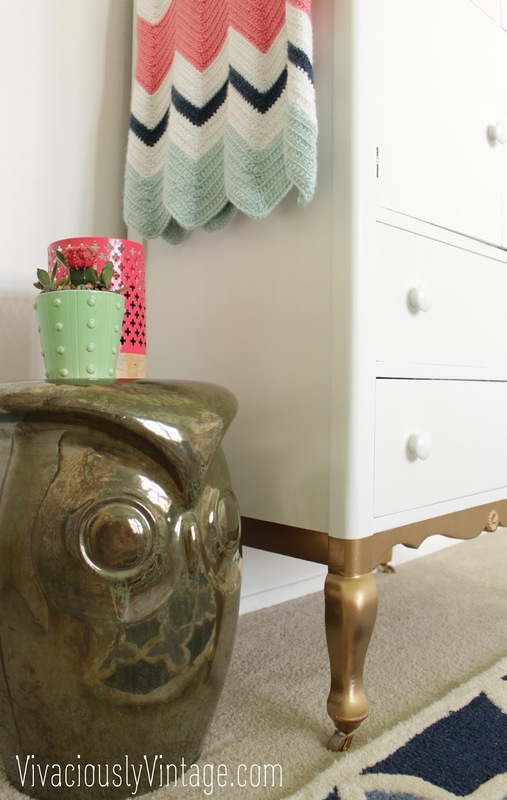 I scoured the internet forEVER looking for an easy chevron pattern to follow. Most of them were just, no. Then I found this pattern from All Things Bright and Beautiful. And the heavens parted and showered me with single crochet chevron baby blanket goodness! Yarn: Coral , navy blue , mint green , and white. 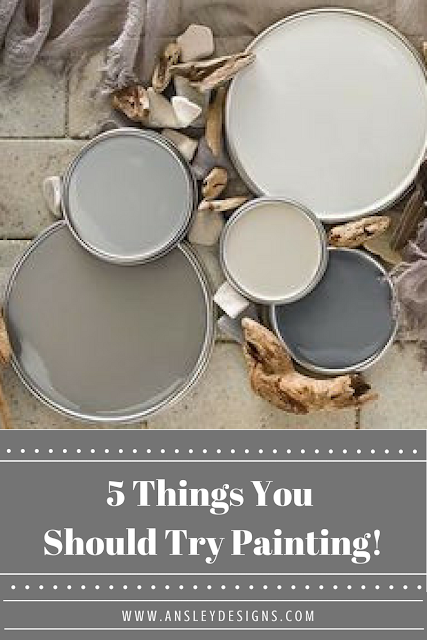 Update: More color details at the bottom of the post! Row 2: Sc in second st from hook, * Sc in each of next 14 ch, 3 sc in next ch, sc in each of next 14 ch, sk 1 ch, repeat from * across, ending with the sk 1 st, sc in last st, ch 1, turn. Repeat row 3 throughout, working 8 more rows of mint green, 6 rows of the white, 10 rows of coral (I did 14 coral - see below), 6 rows white, 2 rows navy blue, 6 rows of white. Start it all over with 10 rows of mint green and complete the pattern colors once more. I changed up the size of the navy and white stripes. I didn't want much navy. Just enough to tie together every color I used in her nursery. So, I did fat stripes of the coral and mint green. White stripes about half the size of those, and a very slim stripe of the navy blue - about half the size of the white. I will say it took me a LONG time to finish. I'm very slow. However, my stitches are pretty good! One thing I will say is that I pull them too tight. It's like I couldn't NOT. Sadly, this made the blanket roll up on the sides. Oh well. This is when I was just getting it started...after restarting it (no lie) like 3 times. (excuse the photos, they are cell phone shots I pulled from Instagram!) I promise I had on pants! You just can't see my shorts courtesy of my baby bump! Making progress a month later...a bigger blanket and a bigger bump! I wasn't following the pattern at this point. I literally had it memorized. I was just eyeballing it to decide how big I wanted it. I wish I would have made it wider, so I could have crocheted it longer for a larger blanket. By her first month, I decided the blanket could be done! All in all I'm very proud of her blanket! The only thing I'm not satisfied with is how the edges curl up (see photo below), but again I think that's due to how tight I stitch. I also wish I had started the pattern wider, so I could have made a larger blanket overall. Mine is about 34 long x 32 inches wide. However, I think I mentioned in the post that I do my stitches pretty tightly; so I'd say perhaps give a couple inches. I hope this is something that she will get attached to and love for years to come! Silly girl! Update: Some readers asked for the colors I used...here is the information and links! The white is, well, white! Blue is by Caron and called "Cape Cod Blue". The coral is also Caron, but a thinner yarn (simply soft), which is why I ended up doing more rows of the coral vs the other colors...to keep the same visual width. (see the pattern above). The name is "Strawberry". There was another brand that had an actual "coral" color, but it was more orangy than I wanted. The paper on the mint is lost, but I believe it is Caron's "Pale Green". Do you create tutorials to follow for someone who's never crocheted before? Hi Brittany! I haven't...I think I'm too much of a novice to teach! I literally just went to youtube and googled the individual stitches I was interested in learning and the word "beginner" haha. There's some super awesome videos that are easy to follow out there! Love this blanket you made so much and I'm so inspired! How much of each colour did you use? What was the size you made? Can I ask a question? I finished row 3. Then I have been repeating from the *. Is that wrong? Should I be doing the before the * too? "Working in back lp of sts Throughout, sc in first sc, sk 1 sc, *" ? I am not sure if I should still be skipping 1 sc in each row. Thank you! You should be repeating all of row 3 for each new row. From the * is basically the pattern for each zig zag, but once you get to the end where you turn the blanket to start a new row...begin at row 3 before the star, then just repeat from the star until the next new row. You wouldn't by chance know the brands of yarn you used would you? 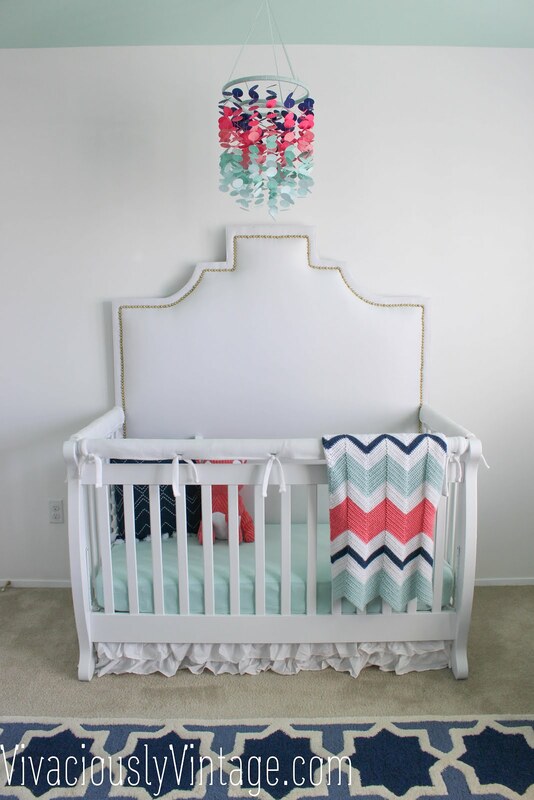 My sister in law is wanting coral and navy blue as well as a few other colors. Thank you so much if you do remember. Hi! I updated the blog post with a photo of my yarns as well as the names and the links to them on JoAnn's website! Hope this helps! Thank you soo much for adding the colors!! I was having a hard time figuring out if it was strawberry or maybe watermelon. I just sat down to make my sister-in-laws blanket & thought I'd check your site again. I'm going to crochet using 2 strands using all Caron Simply Soft yarn. Wish me luck! The baby is due the first of January. Happy Holidays! Thank you again!! Did you ever get help with this? I'm having the same problem. I am also having a problem with row three. I got to the approx 4th or 5th zigzag and my skipped stitches and extra stitches in previous lines aren't matching up. I keep ripping it out and trying again, but it's not matching up. I'm trying to make a larger blanket, so I've chained 300. Should I be adding 2 extra for the sc in the beginning? I got to the end, and I had done 3sc in the one stitch, then I didn't even have near enough to get to the sk st. I'm a little confused haha. Can you tell I'm a newbie!? Girl I'm a newbie, too! This is literally the only thing I've ever crocheted besides one hat! After the increased chain row, I would still follow the pattern exactly as it is. However, I did a bit of quick addition, and if you're increasing the size of the blanket for symmetry then you should have chained 303 stitches. (the original 183 chains plus 30+30+30+30 =303) Perhaps that's where the hang up lies? Good luck!!! Mine is about 34 long x 32 inches wide. However, I think I mentioned in the post that I do my stitches pretty tightly; so I'd say perhaps give a couple inches. 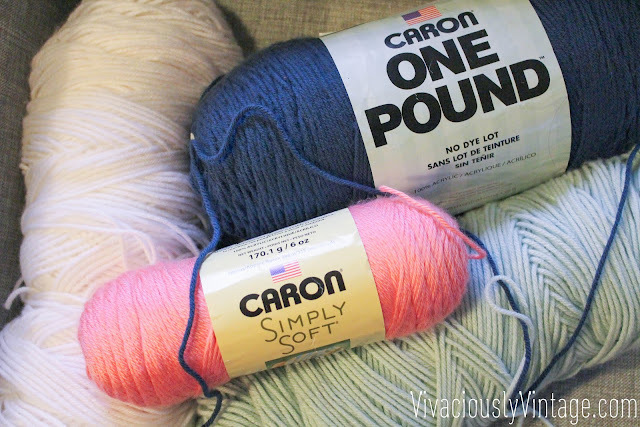 Now that you have used the blanket for some time now, how are you liking using the Caron one pound and the Caron simply soft together? I am curious because they are 2 different sizes so I didn't know if the simply soft (coral) was tugging at the other colors because it's a thinner yarn? I have mixed yarns before and it didn't turn out well because the thinner yarns tugged out the thicker (not to mention some were really old yarns and some new), so i'm wondering how this one turned out! Hey there! I just have a simple question! When you start, you state 'sc into be second stitch and then sc in the next 14 ch' do you just have 14 sc total or 15 total? I started and I noticed one side was longer. Your blanket looks awesome! Thanks for the pattern. Did you fasten off for each color change? I'm also teaching myself to crochet & changing colors is something I haven't tried yet. Thanks! I youtubed how to do it! haha, but not it wasn't a tie off. I basically had a few inches of the previous color that I'd crochet with the new color until the previous color ran out. So it's woven a few inches into the blanket to hold it secure. Can anyone help me with this? I've started, undone and restarted over 10 times and having no luck. Im new to crochet and rubbish with reading patterns. Ive chained 183 +30 to make it slightly better but when I finish the final 14, I always have too many stitches left. So when doing the sk 1 st, sc in last stitch, I still habe 1 stitch left at the end. I've counted rigorously and don't know where I'm going wrong. These colors are all the rage and I love your arrangement of them, Beautiful! I am LOVING this pattern. Sharing the love and linking back to you on my Yarn Along blog post today. (Also loving your vintage-soul blog on the whole since I am all about the vintage. ;) ) Thanks for the pattern! I was hoping you could go into more detail for row 3.. does lp mean loop? If so, do i make a loop at the beginning of each row after 3? Any suggestions on how to make the blanket half of this size? My initial thought was to halve the 183 chain but then duh, 183 is not an even number! Lol. Thought I'd ask what your best input might be. Thanks in advance! Did you crochet in the front loop, back loop, or both? I am VERY new to crochet. I just crocheted by firrst blanket just using single stitch throughout. I do have a question about how to follow your pattern. I've chained 183. Do I crochet 15 in the beginning or 14? It says do a sc in 2nd stitch, then sc 14. So, is it 14 or 15? Thanks! I finished row 2, and ended up with 2 extra stitches! Ahhhh!! Why is this? I was so careful! Was it a miscount? Also, I am so confused about row 3. The pattern starts at the *, correct? So, am I counting 1 sc and then skipping one chain, and starting on the 3rd sc, where I put my hook? Thanks! What is the length of your hook? It looks longer than most. Where did you find it, if it is longer? Thanks for sharing. I might actually be able to do this. Mary. I love this! Thanks for posting. I'd love for the edges of my blanket to be flat, or square... not necessary the chevron shape. Any links or patterns that you know of you could point me to? How many skeins of color did you need for this project? I'm about 12 rows in with my first color (I did a few extra to make the color a little thicker) and so far it just looks like a wobbly mess, not a distinct zig zag/chevron pattern. Did I do something wrong? I've been counting pretty accurately I think but maybe I'm pulling them too tight as well? I'm hoping that as I go along the zigzag just starts to form :). Thanks! me too.... any sugestions or did you end up making it work? 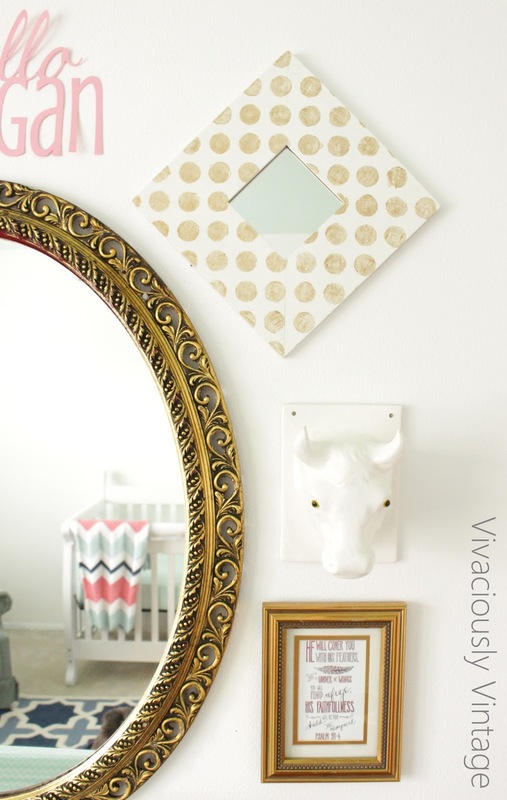 It can take a while for the chevron pattern to form, you should be seeing a wiggly line instead of a straight edge. It may also be the wool you're using, if i's a thin wool it may take a while to build up the pattern. How wide would you say your mint sections are?? I have tried to make this blanket three times and I can't figure out what I'm doing wrong! As I go up each row gets shorter and shorter. Does anyone have advice? 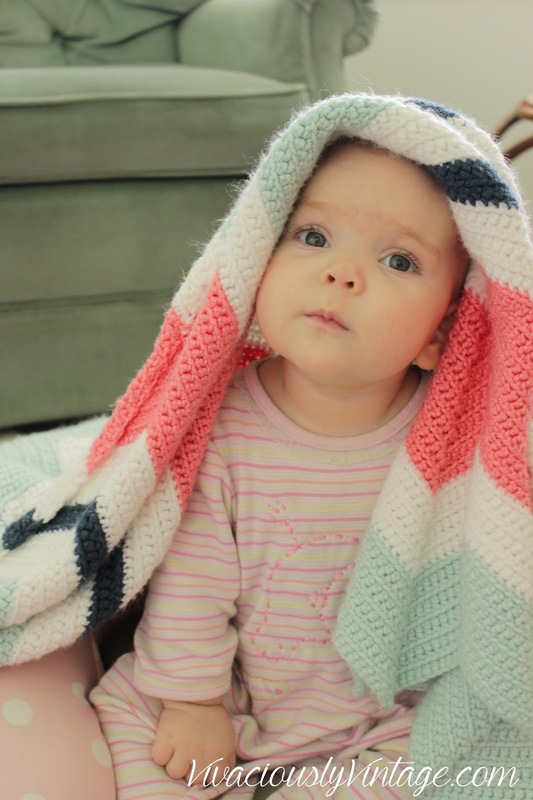 Absolutely gorgeous baby and I love the blanket! This pattern was wonderfully easy to follow, it only took me a week to finish. I absolutely adore the finished product, however, I will be adding a straight edged border to it so it really has a more finished look and so it folds easier. Thank you so much for this pattern! 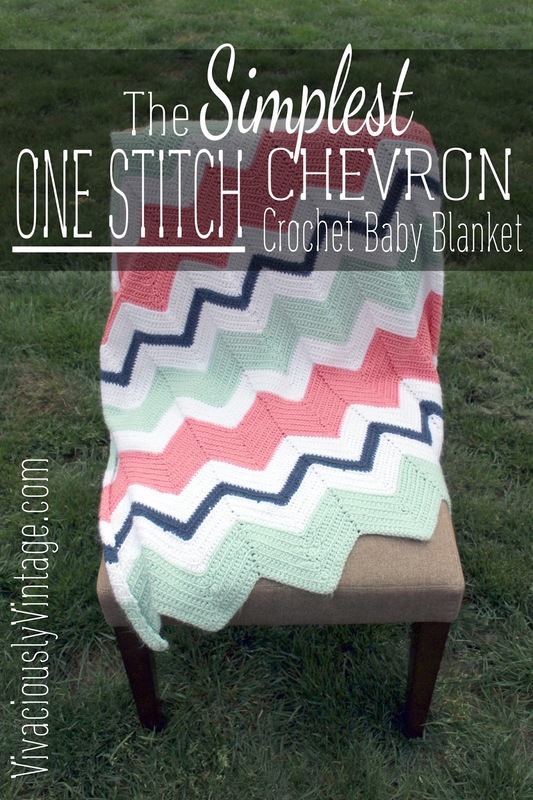 Love this type of ripple stitch baby blanket, the color scheme is gorgeous! 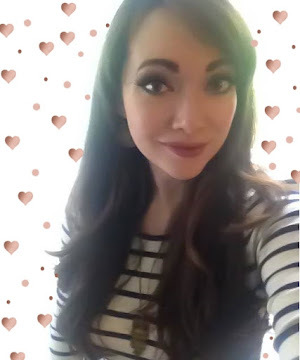 Hi ! I made this blanket for my niece for high school graduation. She LOOOOOVES it! I wanted to tell you about how to keep the edges from rolling as I learned from someone else's post on a similar pattern....instead of stitching in the back loop on the very last stitch of the row, stitch through both loops. Do this ONLY on that last stitch. It made mine lay perfectly flat. I am working on one for my son now. Thanks for the pattern! Sorry for the dumb question but what size hook was used in mm? I believe an I hook is about 5.5mm.